First of all, I would like to thank these esteemed beauty bloggers here that made this post happen! You must be thinking... Why I get so many beauty bloggers to write on this post? (1) So that you will get a sense of variety, (2) it's a fresh idea, so far not many (or maybe none) have done this collaborative blog post, (3) because it is fun! Since I started this beauty blog in June this year, I received a lot of beauty products for review. Being a beauty blogger, I tried a lot of different products each year. I think my other fellow beauty bloggers too. Sometimes the readers get lost in between... Which are the products that we love most since we have wrote so many good reviews on so many products? Their tagline "One Drop Locks Up an Ocean" is really apt. For a drugstore moisturiser, this product is remarkable. I have very dry skin and have been trying out so many products for hydration. This one has surpassed even my high end moisturisers. I use this as a concealer for my eye area. It not only conceals well but it also brightens and opens up the eyes. The texture is very light, making it easy to blend. I absolutely love this product. 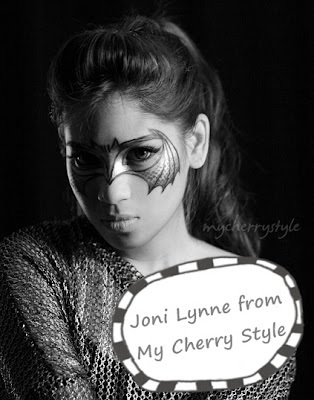 Joni from http://mycherrystyle.blogspot.com . Joni is a stage artist. And she's also a freelance makeup artist. I really admire her creativity and passion in creative makeup. When she's not performing and receiving clients, she blogs about makeups, skincare and DIY. Do check out her amazing creative makeup tutorials. I love this foundation and use it whenever I'm on stage performing! It looks great even at the end of a crazy night. There are 10 shades and two colour ranges to choose from. It's an airbrush foundation but you can use a regular brush. I bought mine online for about RM88, and for 35ml, it's really worth it when compared to other well-known foundations that you can get with less product and/or higher price tags. Another product I buy online and love. This moisturizer is a life-saver for dry skin but I also use it on nearly all my clients because it helps makeup glide on super smoothly. You only need a tiny bit so it'll last you a long time and again, the price is undeniable - RM40 for 30ml or RM69 for 74ml. I also like their Creme Hydratante a l'Orange, which is perhaps more suitable for combination-normal skin. Paris B from www.mywomenstuff.com . I don't think Paris needs any introduction. She's the big sister of all beauty bloggers, being one of the very first who started in the "industry". 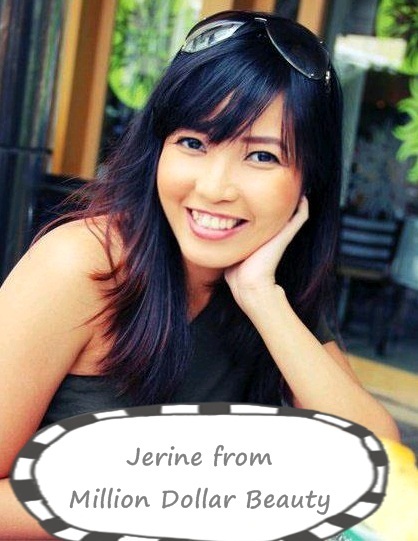 She is respected by other beauty bloggers and inspired a lot of other girls to start their own beauty blog. You probably already have her blog bookmarked and reading it everyday. These pressed loose powder eyeshadows come in complex shades and are perfect worn on their own or paired with other colours. The texture is sublime and it lasts all day. Not quite a skincare but a hair product I have repurchased and will repurchase because it works for my slightly dry frizzy hair. Workds well whether for short or long hair and its very inexpensive. Plus, its also all natural. Sabrina Tajudin from http://bysabrinart.blogspot.com/. She is young and trendy. She is passionate about makeups, beauty related stuff, shopping, fashion, all things pretty and she shares them all on her blog. Her blog is one of those that you keep going back for more. Hiruscar Post Acne is the best acne scarring gel I ever use! It repairs and recovers the structure of my skin! The bumps and scar texture of my pimples fade in 2 weeks! It's so handy and easy to use! The price is reasonable too! I bring it in my bag and reapply it when I think I need it. It is not too sticky and the scent is not too overpowering. Hands down to the Silkygirl Precision Sharp Eyeliner in 01 Blackest Black. One of the best eyeliner I ever use as well as the only marker type eyeliner that last long and does not dries up! I am kinda surprise as most of my marker type eyeliner dries up within one month, but this eyeliner doesn't. The tip of the eyeliner is like a marker which makes an ease to use and the pigmentation is very black. It's so easy to use and it does not smudge! It's so affordable too! Shannon Chow from http://www.shannonchow.com/. Shannon is a lifestyle blogger. However her love for beauty stuff reflects on her blog clearly. I know her in real life and always adore her bright and clear skin. Head to her blog to find out her beauty regime. I got the product when Thursday Plantation (an Australian brand) had a roadshow in Taylor's Lakeside. After trying it out, I can't live without it. Usually during my PMS I'll get one or two pimples popping out on my forehead or nose and I'll always have a blemish gel with me. The best part of this particular blemish gel is that it contains 100% pure Tea Tree Oil plus it is ideal for whiteheads, blackheads or pimples. The gel doesn't make my skin dry at all, it minimizes the pimple after two to three application. Plus, while treating pimple on the nose, I noticed my blackheads are gone too. Just an awesome product. Eye sticks are really easy to use and they are very convenient to use. But most of them are not long lasting. My current favourite is the Turquoise Caviar Stick Eye by Laura Mercier. I love the smooth texture, intense turquoise colour and it's long lasting. Just glide it over your lids and you're done! They do not crease or move once it's set and it last a whole day. 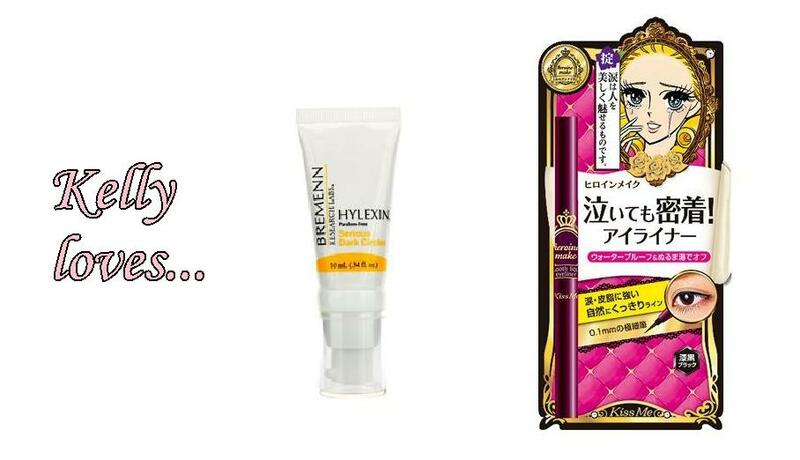 They are so easy to apply and very convenient to carry along in your handbag or while travelling. When I have the time I would smudge it and create a smokey eye. I use it when I needed some vibrant colours on my eyes or a quick make up when I'm rushing to head out (day or night). Christine K from http://littlebluehaven.blogspot.com/. 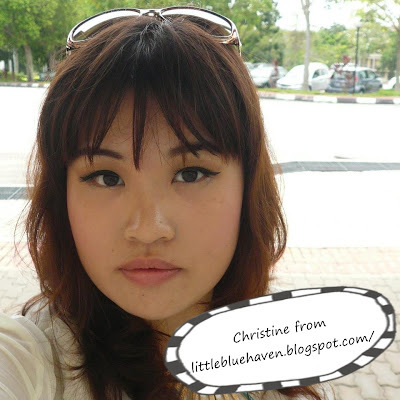 Christine's blog is one that you have to bookmark. She shares valuable information such as where to get free beauty samples, how to get them, which contest is worth joining, beauty roadshows and which product worth buying. She updates her blog almost immediately when she receives such information, so make sure you check it out often. I have tried various night mask and none have come close to the result that Aupres Aqua Sleeping Mask produces. It has a non-sticky texture, slightly floral scent, and really really superb hydration essence. This is actually the very first eye palette that I own and I just can't get enough of it. What I love about Sleek is that their products are affordable and worth every penny that you paid for. Oh So Special in particular contains many neutral colours suitable for everyday use. Its compact size makes it an ideal travel palette. The best part - it comes with a really huge mirror and the colour stays on all day!!! Kelly Chin from http://sunshine365days.blogspot.com/. Kelly is one cheerful girl. And she is the first to know which new product has arrive our shores. Then she updates it on her blog. I think she is the most hardworking blogger I've ever known. I have been using this eye cream since last year. This is my third tube and going to be the forth soon. I find it work very well for me. I use to have dark eye circles, after I started using this eye cream my dark eye circles became less visible. This eye cream is very targeted and focus to reduce serious dark eye circles. It is non oily and don't have to worry about oil seeds. Its slightly pricey RM235 but I only use a little at a time so can last quite sometime. If there is only 1 makeup item that I can choose, I will go for eyeliner. Just can't go out without eyeliner. Eyeliner helps to opens up, defines and intensifies my small eyes. Kiss Me Heroine Liquid Eyeliner has been my best friend since I tried it. It doesn't smudge, the tip is solid and steady allowing me to draw a clean line and easy to glide on. I usually use black and I prefer liquid eyeliner than pencil because it is more lasting and smudge proof. Michelle from www.beautychatter.net. Michelle is a passionate beauty blogger. She does comprehensive research before publishing her post. She also provides video makeup tutorials on her blog. Favourite skincare product: Nutox Oxyfusion Softening Pre-Cleaner. I've been using this for years and it's cheap and oh so good. Its supple and smooth on the skin while at the same time provides through great cleansing and it's effective even with thick foundation on. I use a decent sized dollop say about 50 cents coin (flat) for use on a face that DOES NOT have makeup on. I then massage it on my face for about 30-60 seconds and wipe off with a tissue paper or cloth. If I had makeup on I would use twice the amount of cream cleanser or repeat the process twice. I receommend a follow up with a gel wash after this cleanser. The end effect is a clean and soft face. Your skin does not pull after cleansing, hence you retain a decent amount of moisture on your face even though you just cleanse. This helps with anti-aging in the long run. This is my current favourite. This loose powder has translucent properties and will work great on skin shades from light to tan. I'm sorry to say it would not suit you if your skin tone is really dark or olive. This product is handy in changing seasons when you get a tan or if your tan fades, because it suits a variety shades all I need is this one translucent powder to rule them all. "Muahahaha" **Ahem** It sets your makeup beautifully but will not give you any coverage and needs about 10-15 minutes to settle if you are on the lighter or darker end of the skin tone spectrum. Another hand info is that this product is refillable at a cheaper rate. Nicole from http://nicolesmirror.blogspot.com. 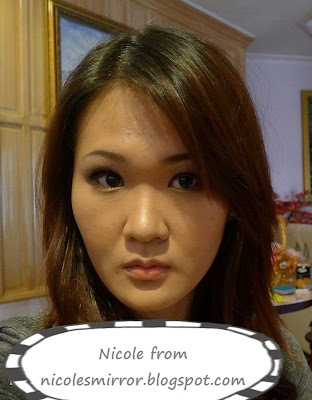 I've been following Nicole's blog for years. 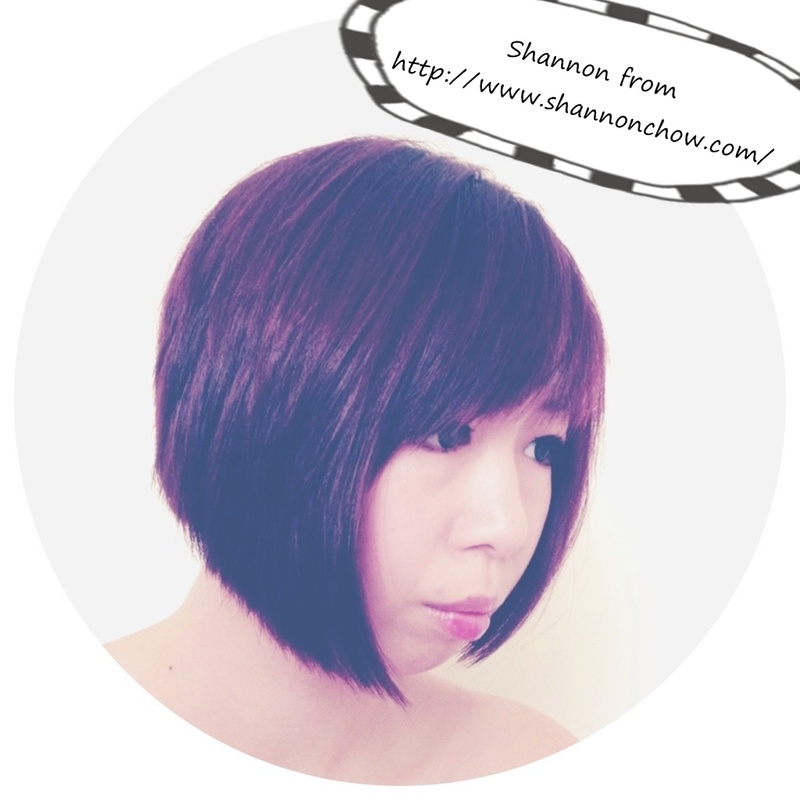 Her blog is very informative and she likes to explore various products. What I love the most about her blog is honesty in her reviews. I am in love with this. Yes it is pricey for the amount of product that you are getting but this product will last you months! Up to date, this product is working really well for me. When I get the sign of pimple errupting, I will apply this after cleansing and toning. I will repeat the process for 2-3 days and the bumps will reduce. Without this, my bumps will normally take about a week or so to reduce. This 3-in-1 product not only good for face highlight, it is good for eyeshadow, shimmer and lip highlight. I have this in full size and mini size. I never seem to ever be running out of this... I wonder why :/ This gives me the right amount of glowy shimmery finish that I adores. No visible glitter. My guy friend asked me one day "what is it that you put on your skin? They look so beautiful under the light!" 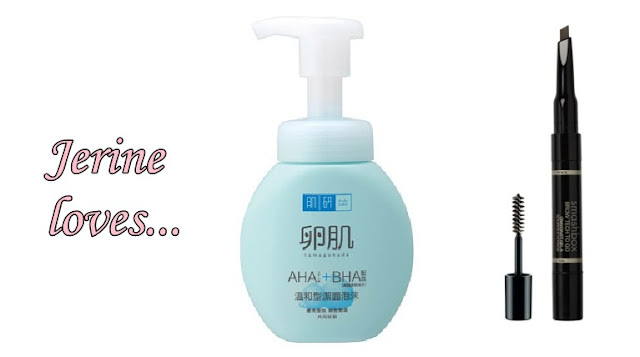 When I went to Taiwan, all the girls were raving about this cleanser. Since the price was relatively cheap there, I bought the cream cleanser version which comes in tube form. The exfoliating agent is so fine and gentle, you can't feel it scrubbing your skin. But you will feel the result when tiny black/white head bumps disappearing. Right now I'm using the foam type, which is the same thing but more gentle on my skin. My face feels so smooth like hard boiled egg (that's a very weird metaphore but it does feel that way), I don't even need to exfoliate with scrubs anymore. If there's anything such as smudge-free eyebrow pencil, this is the one. If I sleep over with this, it will still be there the next day. 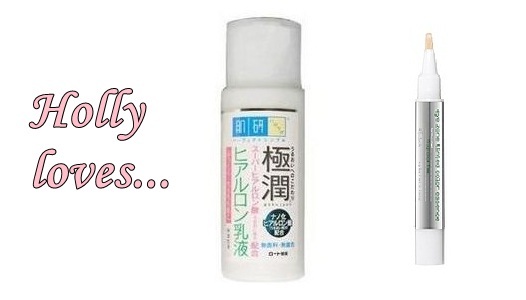 Although it is long-lasting, it is easily to wash off with any facial wash. It comes with a setting gel that set your eyebrow hair so that they don't go astray. Downside of this product is the price... RM90 and one tube last you three weeks (if you use daily). I know I'm not the only one who love this because it is sold out all the time in Sephora. Thank you everyone! Glad you all enjoyed it. Really nice post !!! The Beauty Product Reviews are really beneficial to choose the best product. All the world famous brand name beverages for unbelievable low prices.